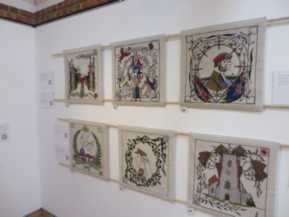 Most of us know that Andrew Crummy's original tapestry, The Prestonpans 1745 Tapestry completed in 2010, sparked nation and worldwide interest in embroiderers to 'do one themselves'. And apart from more design Andrew's been called on to give talks and he's been rightly honoured far and wide in the arts community. 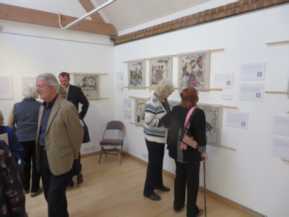 First follower was Sandy MacCall-Smith who saw the Prestonpans 1745 artwork at the Edinburgh Dovecote and was totally inspired. He at once embarked on the Great History of Scotland .. reaching over 150 metres. Not to be outdone we in The Pans we created the Scottish Diaspora Tapestry across 34 nations around the globe again designed by Andrew. 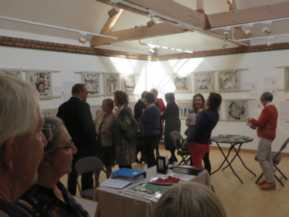 As is now well known it's toured the globe from March 2015 till March 2017 with more than 100,000 visitors. 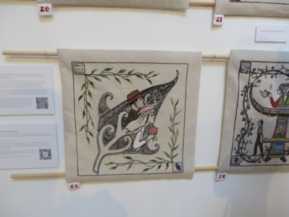 But Emily Boulton, Art Director at Walton on Thames' Riverbarn Centre had also seen our original tapestry and wanted one too. It was to tell the WWI tale of Mount Felix Hospital for New Zealanders who went to Gallipoli and to the Western Front as part of the ANZACs. 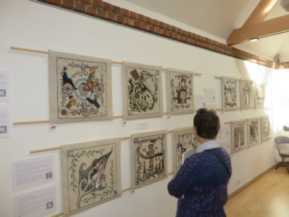 We took our original 1745 Prestonpans Tapestry to Walton for display two years ago and that, plus Rosemary Farmer & Maggie Ferguson's book The Art of Narrative Embroidery were more than sufficient to motivate the good enbroiderers of Walton and 600 more. 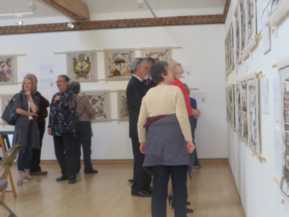 By April 2017 the 44 panels were completed and the whole exhibition formally opened by the New Zealand High Commissioner and the Mayor of Walton on April 23rd. 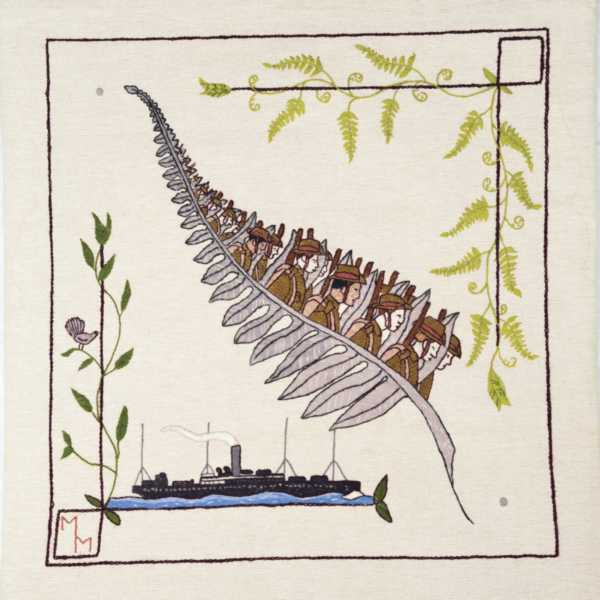 The first panel below stitched by Marion Millinger beautifully depicts the Kiwis departing for Europe. 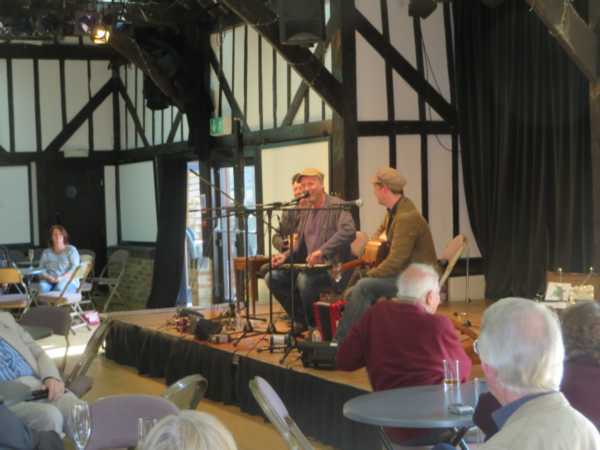 Excellent music commemorating WWI was played by Harp & A Monkey which included some new compositions - seen here below.